A crash has caused major delays on Interstate 24 in Nashville. 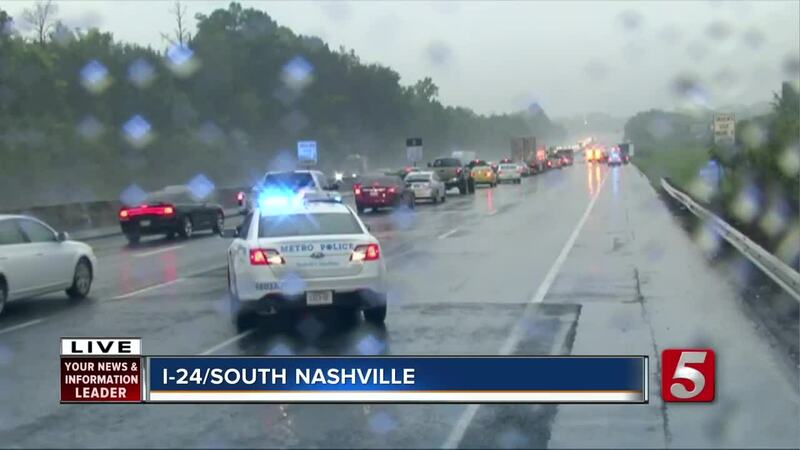 A crash caused major delays on Interstate 24 in Nashville. The incident was reported around 6 a.m. Thursday in westbound lanes at Haywood Lane. Details of the crash were unclear at this time. There were indications that a semi may have leaked fuel onto the interstate. However, it ended up being food coloring. Two westbound lanes were blocked. Traffic was backing up all the way to I-840.